The burned lithium-ion battery from a Dreamliner fire in Boston last month. 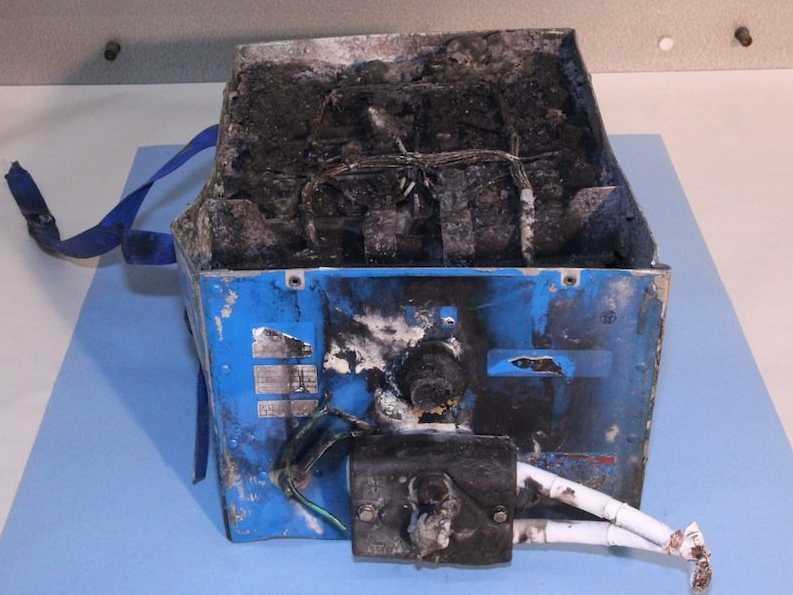 Boeing has no plans to give up on the lithium-ion batteries that have caused so much trouble for its Dreamliner jet, it said today.The batteries are at the centre of ongoing investigations into the safety of the Dreamliner, after two fires on different aircraft last month. Boeing’s statement came after Airbus announced this morning it will not use lithium-ion batteries in its new A350 XWB passenger jet, a Dreamliner competitor, as it had planned. Instead, it will use more proven nickel cadmium batteries, hoping to avoid mandated changes that could result from investigations into the Dreamliner fires, so it will keep to its delivery schedule. The change will not affect how the aircraft operates, a spokesperson said. Boeing has already warned airlines it will likely miss deliveries of the Dreamliner, but it is standing by the new technology. The especially powerful batteries allow the aircraft to be lighter and more fuel efficient, a key selling point. Boeing is confident in the safety and reliability of lithium-ion batteries. Our years of experience and deep expertise confirm that, like other technologies, when the appropriate battery, system and aeroplane protections are in place, lithium-ion batteries deliver significant benefits. We are deeply involved with the appropriate investigation authorities in developing a full understanding of two recent battery events on 787s and are working tirelessly to create the solutions that will allow the 787 fleet to return to full flight status. There’s nothing we’ve learned in the investigations that would lead us to a different decision regarding lithium-ion batteries.